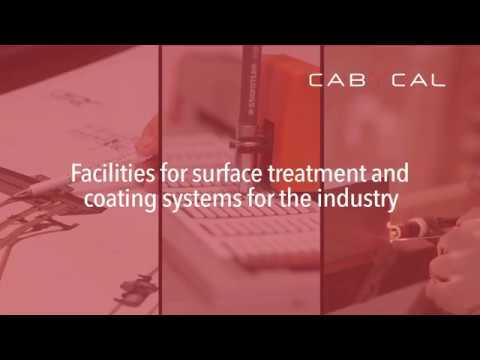 The leading firms in the automotive sector have selected Cabycal as a key partner for surface treatment and painting of parts. Cabycal provides global solutions: from the engineering design up to the commissioning, which include manufacture and assembly. The projects are developed with Cabycal's Quality Management System based on the standards of UNE-EN ISO 9001:2008. The proposed hardware and software tools ensure the functionality, quality control and traceability of the production processes. The material surface is prepared with the aim to maximize the coating resistance properties of the final piece. The main coating systems which Cabycal develops include e-coat immersion, powder and liquid painting processes. These systems are processes of etching degreasing, pickling, amorphous and micro-crystalline phosphate coating, surface conditioning and nano-technology conversions. Expert projects for the proper work flow of materials. Depending on the sector, material and weight of the parts to be painted. Cabycal's Zero Impact and Energy Saving philosophy seek to reduce gas emissions and liquid dumping as well as reduce the facility's energy consumption.